Lock in a great price for Balcony House – rated 8.6 by recent guests! The location is great and the room was fine. The place was very clean generally except for the kitchen. The reason I haven’t given it a higher rating was because of the kitchen (tho it was cleaner on the last day) and I thought it was a bit expensive for its simplicity. Fine place though. The hosts were very friendly and helpful in so many ways. We were able to leave our luggage upon early arrival and late departure at the accommodation. The optional breakfast ($5 p.P.) was delicious and the smoothies extra yummy. We spent our first night at the Balcony House and liked it so much that we came back to spend our last night there as well. Good location - walking distance to tons of shops, bars, and restaurants. The bed was pretty comfortable and the room we stayed in had two fans. The shared areas (lounge, bathroom, kitchen) were all clean. The best hosts we have ever had. Went out of their way to make our stay as pleasant as possible. Well equiped and great location. 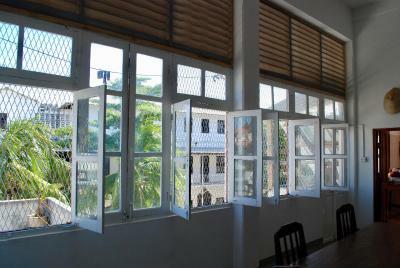 Amazing staff, great location in the center of Stone Town and a really beautiful and big apartment. The room was really nice and cool with aircondition and fans. Can 100% recommend!! Great place to stop over for a quick city tour! Perfect location. 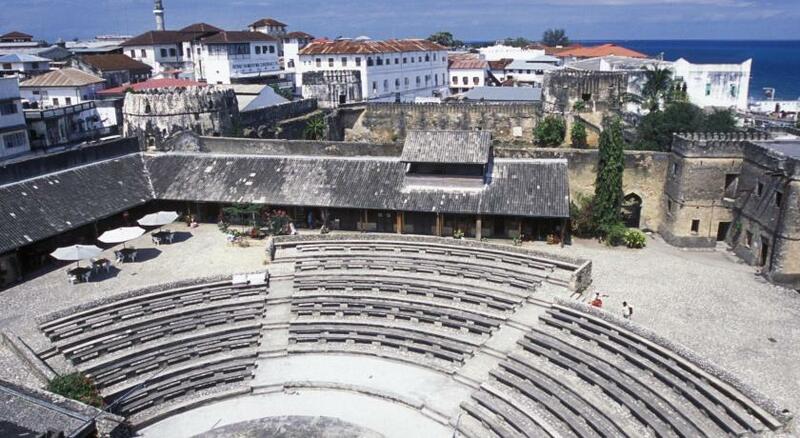 Close to all the things you need to see in Stone town. Great hosts, very comfortable stay. Perfect location, great common area, and the best staff, took us on a spice tour, walking tour of the city and round the market to make local dinner. Could not recommend enough. Very good location to explore Stone Town, close to everything - harbor, night market, the big places to visit in town etc. Still quiet enough to find good sleep, nice rooms and clean bathroom. Staff very friendly and helpful - communication before was very good and we good good recommendations, eg. where to watch the sunset! They arranged an airport taxi for us in the very early morning - all in time and reliable. One of our best sellers in Zanzibar City! 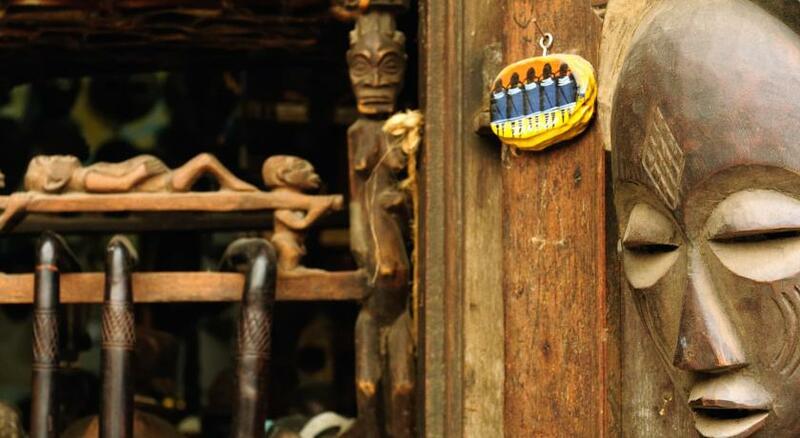 Balcony House is offering accommodations in Stone Town in Zanzibar City. Staff on site can arrange airport transfers. At the accommodations every room is equipped with two shared bathrooms, mosquito net, dresser & closet and ceiling fan. All rooms have access to a shared balcony, terrace, living room, kitchen, dining room and bathrooms. Some rooms have air-conditioning. Guests can make use of the free WiFi available. Breakfast is served daily at the property at an additional fee. Balcony House is located just a few minutes' walk from the beach. This property also has one of the top-rated locations in Zanzibar City! Guests are happier about it compared to other properties in the area. 뀐 Located in the top-rated area in Zanzibar City, this property has an excellent location score of 9.4! When would you like to stay at Balcony House? This double room has a double bed, mosquito net, fan, closet and sea view. Public parking is available on site (reservation is not needed) and costs USD 1 per day. This double room features a double bed, closet, mosquito net and fan. This quadruple room has two double beds, two chests of drawers, mosquito nets, two fans and a street view. This double room features a double bed, chest of drawers, mosquito net, fan and sea view. This double room has a double bed, closet, mosquito net, fan, cloth hooks and sea view. House Rules Balcony House takes special requests – add in the next step! Children 4 and older are allowed at this bed and breakfast. Please inform Balcony House of your expected arrival time in advance. You can use the Special Requests box when booking, or contact the property directly using the contact details in your confirmation. Please give more orientation with a map of the city. It's very nice and simple place with an excellent location. The host is friendly and helpful. 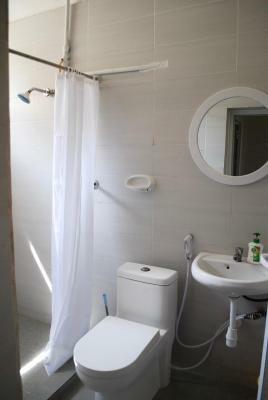 Although it's with shared shower and toilet, its clean and really comfortable. Perfect location, very friendly staff, great breakfast. All in all, an excellent budget choice. The place is very noisy. Impossible to sleep after 5 am. Also not very clean. Lack of local information regarding trips etc. You leave the shoes outside, it's OK, you feel like at home walking around barefoot) But after the shower, even though the place is quite clean, your feet are wet, so tiny pieces of dust stick to them anyway.